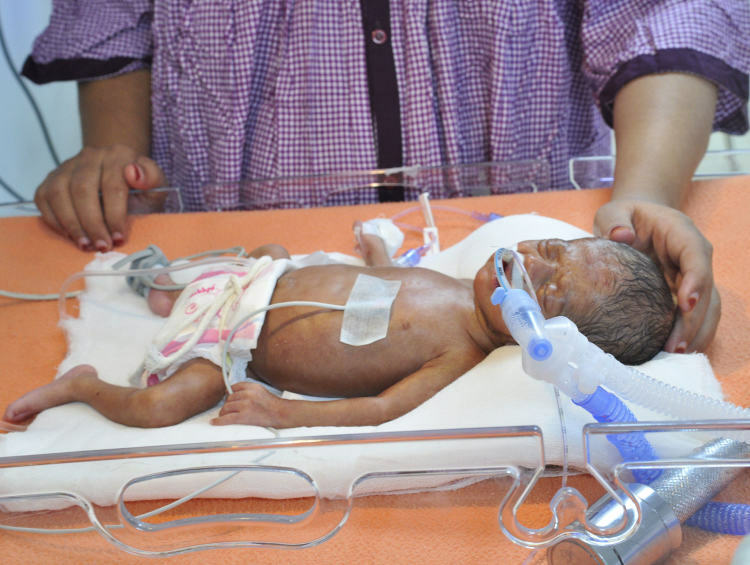 Born 2 months early, Dorothy and Manuel’s baby boy was barely clinging to life during birth. 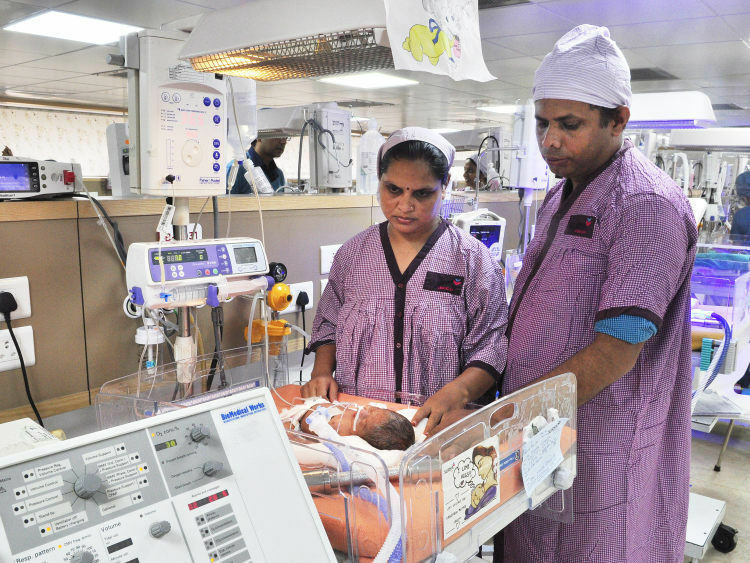 Now, after developing severe breathing issues and other complications, the 1-month-old baby desperately needs to remain in the NICU and undergo treatment for over 6 weeks to come out alive. Dorothy and Manuel are giving their best but their financial condition is making it very hard to provide for the treatments their baby boy needs. 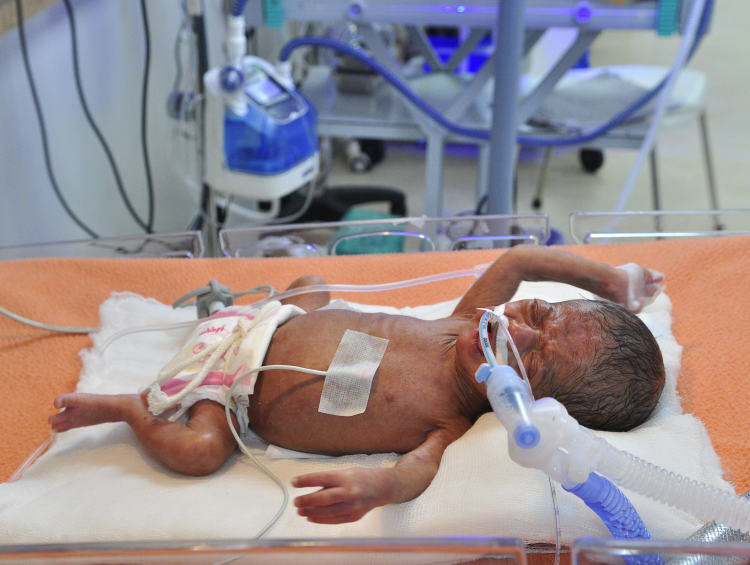 Apart from the breathing issues, the newborn also lost over 20% of his bodyweight right after birth. This is extremely dangerous and he couldn’t stay alive without life-support. Dorothy’s baby made it alive to the NICU at a different hospital and is currently on life-support and feeding tubes to help him with breathing and gaining weight respectively. During his recovery in the NICU, in between, the 1-month-old’s heart was causing him pain too. Now, the baby received the treatment for his heart, which is beating normally for the time being. 1-month-old baby of Dorothy needs to be in the NICU for, at least, 6 more weeks if he were to make it out alive. Manuel works in a construction company and earns a small sum of Rs. 250/day. The baby is on crucial life-support and he has high chances of recovering and emerging out as a healthy baby. His weight has increased too but Manuel has absolutely no funds to continue paying for the life-saving treatment the 1-month-old needs. Dorothy, on the other hand, cannot wait to hold her baby for the first time. Manuel and Dorothy’s 1-month-old baby cannot live without the continued treatment at the NICU. He needs to stay there for 6-7 weeks more and this would cost a total of Rs. 9.5 lakhs. To keep his son alive until now, Manuel has already spent over 2 lakhs and now, he is left with nothing. He needs your support to save his son. 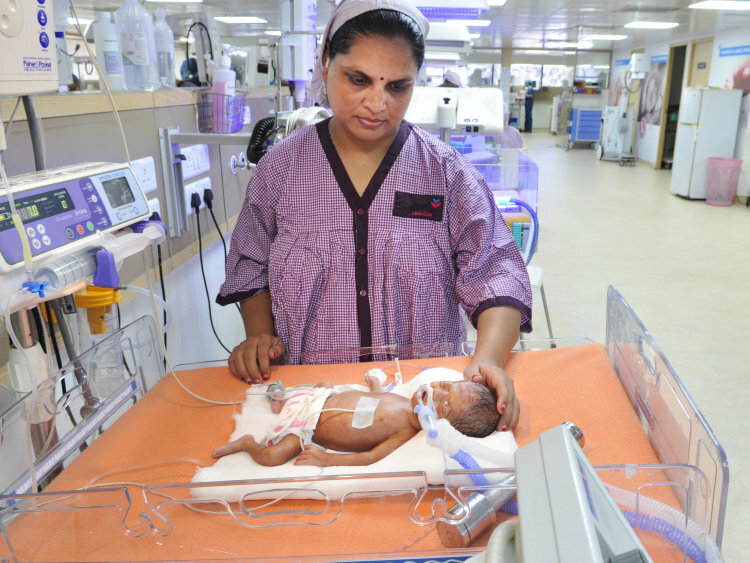 Your support will save 1-month-old baby of Dorothy and will ensure that emerges out of the NICU alive. Thank you all so much for helping us! My baby is doing well now. 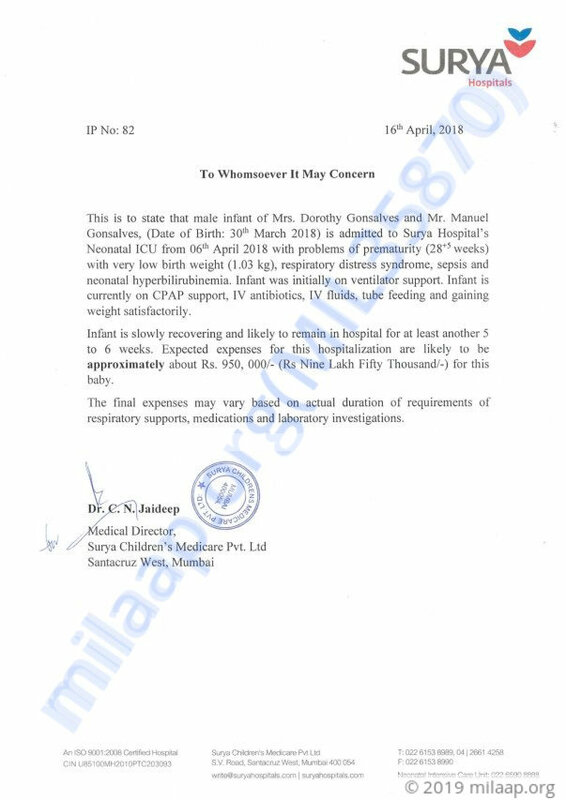 We took him for a check up last month and the doctors told us that he is doing very well and is completely fine now. They have reduced the medicines also, and now he only has to take two medicines. He is at home and we are all very happy to see him happy and healthy. This wouldn't have been possible without all of you. Thank you all so much. Thank you for the wonderful support that you have shown towards Dorothy's baby. The baby has gained weight (around 2kg) and is off respiratory support and is now on partial oral feeding. We are stopping the campaign as per the families request as they would arrange funds from other sources. The funds raised via this campaign will be used towards his pending medical expenses. Thank you once again for the wonderful support. Please do pray for his health and speedy recovery.